These days, Insomnium is one of those bands that hardly needs to be introduced to metal audiences. Ever since their debut in 2002, this Finnish melodic death metal quad has made steady progress towards bigger stages, and now, by the time they are releasing their 7th full-length album, they are again taking one giant step forward, and not with just any old easy-listening melodeath record. 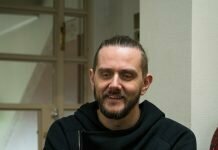 When the band announced the details for Winter’s Gate, my initial thought was that now there’s a thing that’s custom-made for me, from top to bottom – a concept album about vikings, complete with a novella to go with it, and music by Insomnium? Why, hell yes, this is definitely an opportunity to bring out the overused ”shut up and take my money” -meme. Admittedly, I’ve always been a sucker for concept albums and am fascinated by how songs carry the story. At best, it’s like a perfect soundtrack for a movie inside your head – a visual, cinematic experience – while at worst they can be nothing more than a justification for an overly long collection of mediocre songs. 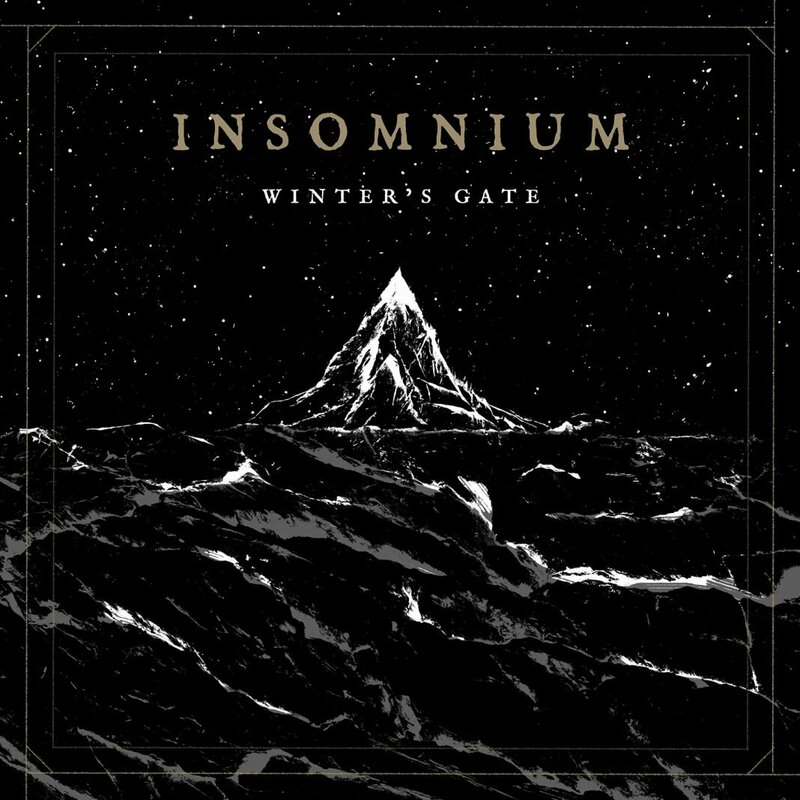 Insomnium certainly jumps into the deep end with Winter’s Gate, not only by doing a concept album, but one 40-minute song of a concept album. They’re not exactly one of those bands who re-invent the wheel on every full-length album – and really, if the wheel’s not broken, why bother? Yet there is so much to Winter’s Gate that I’m not even sure what to begin with: it’s a rare and almost nerve-wracking opportunity to get to describe something as well-rounded as this. Music-wise, there’s an evident leap back towards the older Candlelight Records -era Insomnium, as well as vibes and sounds you’ve heard on the latter albums, especially its predecessor, Shadows of the Dying Sun (2014). There are also loads and loads of things that have not yet been heard on an Insomnium album, though it sounds exactly like Insomnium from start to finish. 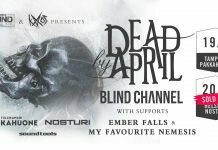 With fresh ears, you’ll pick up likenesses to Amon Amarth, a bit of Dark Tranquillity, Amorphis-like keyboards, but whatever possible influences you might hear, you’ll soon forget it as it blends into the richly nuanced stream of music. And when an album starts with an instant and curious ‘well, I didn’t expect this’ –reaction, it does promise you a lot, doesn’t it? And as such, the story rolls on and sets the stage during the first 12 intense minutes, taking swift turns and moving on from one character and mood to another, until slowing down to an anticipating, stirring calmness. Starting out strong and without hesitation, the music shifts onto a more tentative foot, while the story grows and sheds more light on the characters and their pasts and motives. There’s definitely something nasty drawing closer, and that’s not just the winter on your doorstep. With a calm interlude and the first steps of impending doom, the final battle is unleashed in front of us in all its frozen, terrible beauty. After the all-consuming terror, there’s still a faint hint of light… a whisper and a promise of new hope. And that, my friends, is one well-told story in a very limited amount of time via death metal album. It’s also the blackest, most progressive, doomiest Insomnium album yet, as you’ve already heard everyone and their grandmother saying, and for once a marketing pitch like that actually sells what it says on the label. Don’t get fooled, though – instead of exhaustingly stuffy and hefty, it’s airy and organic-sounding as whole, remaining fresh even in the heaviest parts. To be clear, it’s not as much of a full-blown, sold-in-an-instant kind of perfect album, rather than it’s one that grows on you and endures very heavy-duty consumption. On the first listen, it might not be easy to catch a proper key moment or a culmination point, but you’ll surely pick up things you like. ‘Flow’ is a word I’m keen on using with Winter’s Gate; it near-perfectly describes what’s going on there – the whole thing moves on so seamlessly and effortlessly that it would be pretty foolish to break it into separate tracks. Albeit I grew a little impatient with some of the more elaborate slow-downs and progressive parts during the first spins, the big picture settled into its place while reading the story as it went on. Now, I couldn’t really talk about Winter’s Gate without talking about the novella as well. At first I thought I wouldn’t be able to fully get into and appreciate the story without seeing the lyrics, but with each listening I was drawn deeper and deeper into the sheer atmosphere and feeling, unlike most concept albums that, even at their best, are ‘just’ stories. It’s a strange and weirdly exhilarating experience to realize that what you thought of as the best of the best is something that can be exceeded in aspects besides technical ones. It doesn’t take any value away from other great concept albums though; rather, it adds to the grand scale of concept albums. When it comes to Niilo Sevänen’s writing, his words paint a world that is easy to see in spite of the limited space in which a short story takes place; the image is crisp where needed but blurry enough around the edges to let your imagination fill in the gaps. The story is good in itself, but the album lifts it to a whole other level – it may or may not be a thing the novella has needed all along to make it truly stand out and complete it. On a related note, I also recommend listening to the audio book that Sevänen himself had read for the special edition of the album, if you have the chance. Regarding the live adaptation, 40 minutes might not be too much for a show, but it’s easy to imagine that playing the whole thing in one go won’t work. Nevertheless, I’m eager to see how they’ll translate the album live – it would be a shame if they didn’t at least try. And as far as contemplating the concept of a one-song-album, I truly feel there would be a wonderful niche for more. It likely won’t be the first thought to cross your mind, but at least in this case, having only one lengthy song feels extremely refreshing, and it’s astonishing how well it works in most situations, be it a meditation nap while heavy rain drums the roof, or running intervals. There’s always a shortage of excellent all-round albums, but my favorite way to listen Winter’s Gate might still be sitting down with a cup of coffee or tea, just enjoying it. To finally sum it up: without bias of any sort, Insomnium has left me in awe and excited to see what’s next. They have created an album that takes you by surprise, draws you into its world for nearly three quarters of an hour, gives you chills, and keeps you wanting to return, time and time again. In other words, considering this is an album that was described as a ‘thing in between actual albums’, they’ve shown what they are really capable of and created something that deserves to be called a work of art. Winter’s Gate stands bold, ruthless, and beautiful, as the harsh winter itself. I had a hard time figuring out the right scoring for it – for a good while I felt like it lacked something that would have made it ‘perfect’ and worthy of a full score, but frankly speaking, in the end it’s just as good as it could get. Only one or two other albums that have been released this year have even briefly grazed the bar Insomnium has set, so I have no reason to hesitate in naming this as my pick for album of the year. So, sit back, put your headphones on, and prepare for what may be the fastest 40 minutes of your life.